In 1895 the church was dedicated to All Saints, but Kelly's Directory of that year notes that there was a Saxon church of St Alkmund, which predated a Norman one. By 1912, the dedication was recorded as St Alkmund, as it is today. 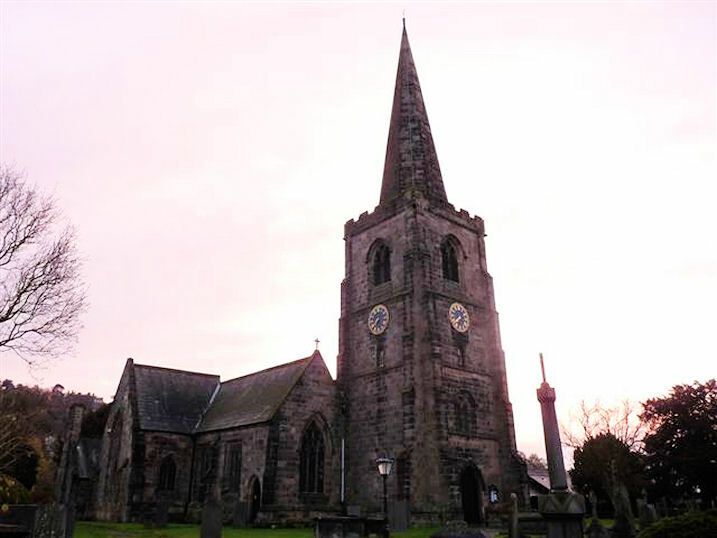 The Old Parish Churches of Derbyshire (1998) says the earliest parts of the present building are 13th century. St Alkmund's Church, Duffield shown on a Google Map. Places of Worship in Duffield shown on a Google Map. Information last updated on 23 Feb 2011 at 16:37. Please also remember that whilst the above account may suggest that St Alkmund's Church remains open and accessible, this may not remain so. This Report was created 27 Mar 2019 - 03:29:40 GMT from information held in the Derbyshire section of the Places of Worship Database. This was last updated on 6 Feb 2019 at 15:49.